Linden King is an information technology professional who is currently employed at Bell and is a graduate of Ryerson University in Telecommunications Management. Linden has made extraordinary contributions to the betterment of our community distinguishing himself through a multitude of leadership roles. He is also the Chair for the United Way Greater Toronto Black Advisory Council, Co-Chair for The Peel Region Police Black Community Advisory Group, past Chair for The Liberty Silver Foundation and the past Vice Chair for The Congress of Black Women Mississauga Chapter Non-Profit Housing Inc. Linden also serves as a Board of Directors for the Mississauga Arts Council, Canadian Mental Health Association Peel Dufferin and was a volunteer with The Ontario Trillium Foundation, Halton-Peel Grant Review Team. In 2015 he was selected as a torchbearer for Toronto’s Pan Am Games, recognized as a Top 100 Black Canadian Role Model and was the recipient of the Gordon S. Shipp Memorial Award as Mississauga’s 2015 Citizen of Year. He also, has an appreciation for providing help and support to strategic initiatives that address the factors contributing to crime and violence. In addition, Linden donates his time and effort by mentoring and encouraging youth to remain active in their community. As President of Petovello Consulting Inc., Larry works with clients to improve their business and economic development objectives. Prior to starting his own firm, Larry was the Director of Economic Development for the City of Mississauga. He was with the City for twenty-three years in the areas of economic development and corporate management. Previously, Larry was with the Government of Ontario in senior policy and program roles in the fields of community renewal and economic development. Luz is a Consultant, Compensation, Benefits and Pension with Diversicare Canada Management Company, Inc., a management company that manages long-term care and retirement facilities. She graduated with a Bachelor’s Degree in Commerce, major in Management from the Philippines. A few years upon arriving in Canada, she completed Human Resources Management at University of Guelph and received her Certified Human Resources Professional designation in 1996. 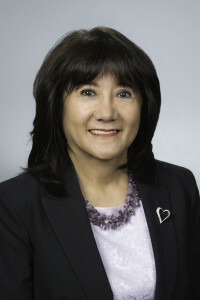 Luz was involved as the Director of Heritage Mississauga, President of the Catholic Women’s League, Chair of the Carassauga Festival and President of Culture Philippines of Ontario. She was also the recipient of Mississauga’s Citizen of the Year Award for 2006. 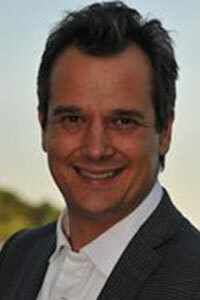 Ron is a Chartered Accountant with over four decades of experience. A former partner at Grant Thornton LLP, Ron’s expertise lies in audit and accounting for small and medium-sized enterprises in a variety of industries. Ron has been an active volunteer with the Rotary Club of Streetsville since 1978, serving as President in 1986 and Assistant District Governor in 2010-11. He currently serves as Chairman of the Board of Directors of Peel Cheshire Homes, a group home for the physically disabled that he has been involved with since 1991. Ron has held leadership positions with the Living Arts Centre since being elected onto the Board in 2005 including Chairman of the Board, Chairman of the Audit and Governance Committee and Chairman of the Arts and Entertainment Committee. Louroz M. Mercader is the President and Founder of the Mississauga Youth Games (MY Games), a grassroots non-profit that has provided free sporting and artistic programs to 1500 young people across the city of Mississauga. As a passionate advocate for youth issues he has played a leading role over the last 12 years in the development of numerous youth engagement programs. He provides strategic media and government relations support to a host of organizations through Louroz Solutions. David Maylor is the Crown Attorney at the Peel Crown Attorney’s Office. He is in charge of an office of more than 60 Assistant Crown Attorneys and 32 Legal Administrative staff. 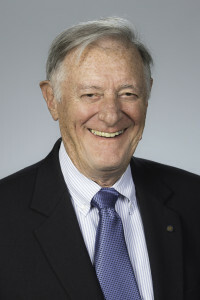 He has been a member of the Crown’s Office since 1994. Prior to taking on a management role, his professional experience involved prosecuting a wide spectrum of major criminal offences. 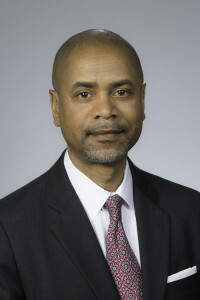 A significant part of his work has focused on gun and gang offences both from a prosecutorial and prevention perspective. He was involved in organizing a number of conferences attended by various members of the criminal justice system in order to educate on ways to prevent gun and gang crimes. For 13 years Rajiv has been practicing Criminal Law in the GTA as a Criminal Defense Counsel. He holds an undergraduate degree at the University of Toronto receiving an Honours Bachelor of Science degree in Biology and Psychology. 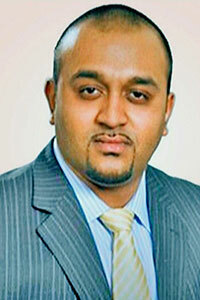 In 2005, Rajiv received his Juris Doctor and in 2006 he was called to the Ontario Bar. Rajiv is a firm believer in giving back to the community and has demonstrated this by serving as an adjudicator for the Health Professions Appeal and Review Board in 2005, the board of directors for Safe City Mississauga in 2008 and House of Hospice in 2010. His passion for law is shown through his involvement in the mentorship of new lawyers through the Law Society of Upper Canada Mentorship Program and through providing volunteer coaching to high school students who participate in the Annual Peel Mock Trial Tournament. Mr. Joseph Chaung is the Founder and President of C4P Inc. He created this company for Product Design and Project Development, Sales and Marketing of new innovative products especially, products of Green and Alternative Energy. 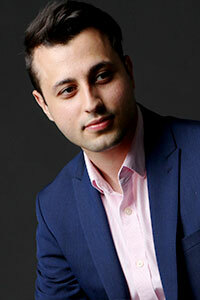 Joseph graduated from University of Ottawa with a Bachelor Honour Degree of Social Science. Joseph has more than 30 years experiences in the product design and development industries in the North American, Asian markets and European countries. He successfully developed many new products around the world with many inventors and designers. Joseph is recipient of the Canada Senate 150th Anniversary Medals. 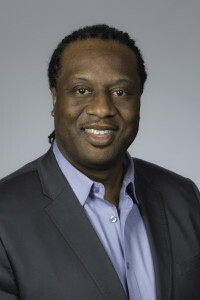 He is also a Director of the Product Innovation Technician Advisory Committee, Humber Institute of Technology & Advanced Learning, Humber College. Joseph also supports many of our Canadian University/College Graduates for many of their start-up projects and business. He is also a professional mentor of many of the Industrial Design Graduates so as to encourage many of our Canadian Industrial Designers continue to achieve their inventions from Canada to the World. Being Founder and Immediate Past President of the Oakville Chinese Business Association and Director of the Hong Kong Canada Business Association, Joseph continues to build the best network for our Canadian Business Entrepreneurs to Hong Kong and other countries across the world. 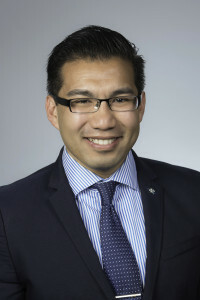 Since Joseph supports Hong Kong and Canada Trade & Business Networking, he was invited by Canada Federal Government to join with Prime Minister, Steven Harper and his Trade Mission Team to 2015 China Trade Mission in Beijing, Shanghai, Hangzhou (Alibaba Group Holding Ltd. Head Office) and Suzhou. He also be invited by Ontario Government to represent Innovative Industrial Company to Japan & Korea Mission in 2015, 2017 and 2019. Joseph also very suppose Hong Kong Economic & Trade Office (Toronto), Invest Hong Kong and Hong Kong Trade Development Council for many Trade and Economic events and activities both in Toronto, Canada and in Hong Kong each years. Joseph was the Co-Chair of the Community Crime Awareness Day Event for years and is also a Board Member of the Mississauga Chinese Business Association. He is now also a committee member of the Peel Region Police Chief’s Advisory Committee in Canada. 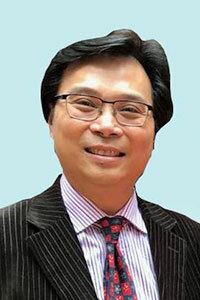 Joseph is also an active Director of the Hong Kong Canada Business Association and Chair of HKCBA Annual Gala Event. 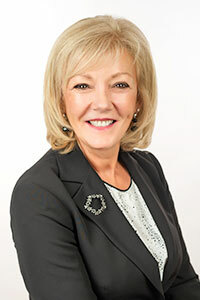 Sue McFadden is the City and Regional Councillor for Mississauga’s Ward 10, a largely residential ward in the north westerly part of the city. She was first elected as Councillor in 2006 and is now in her fourth term. Prior to that, she served as Trustee for the Peel District School Board for six years. Throughout her time as an elected official, Councillor McFadden has held positions of leadership on various committees such as Safe City Mississauga, Traffic Safety Council, Emergency Services and more. She is past member and chair of the Peel Police Services Board. Her commitment to safety has been recognized by her colleagues and appreciated by constituents. As the City and Regional Councillor for Mississauga’s Ward 1, Stephen strongly believes a vibrant community is home to a better life. Through his earliest days when Port Credit Arena was hockey’s home ice – to his work as a young researcher on Parliament Hill – to being Chief of Staff for a Provincial MPP, Stephen has brought insight and energy to making better relationships and better communities. He received his Honours degree in Political Science at Carlton University. 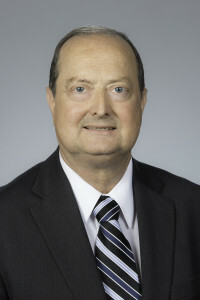 As a professional, Stephen worked as Chief Operating Officer for ASI technologies, focusing on transportation, providing associations with database management solutions and operates the “The Road Authority,” a joint venture between the Ministry of Transportation and Ontario Good Roads Association. Stephen was a volunteer member of the Board of Directors for Community Living Mississauga, a Director for the Port Credit Village Project, and twice served as a Campaign Co-Manager for Councilor Jim Tovey’s election to public office. Stephen is committed to advancing the needs of his community. Robert is the Superintendent-in-Charge of 12 Division, located at 4600 Dixie Road, Mississauga. 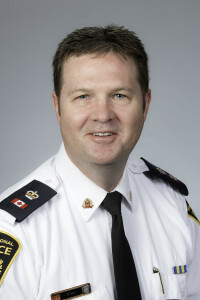 He has over 28 years of policing experience with over five years as a senior officer working in areas, such as: the Duty Inspector’s Office, Executive and Staff Officer to the Chief of Police, Officer-in-Charge of Corporate Communications and the Officer in Charge of Uniform Bureau 11 Division.